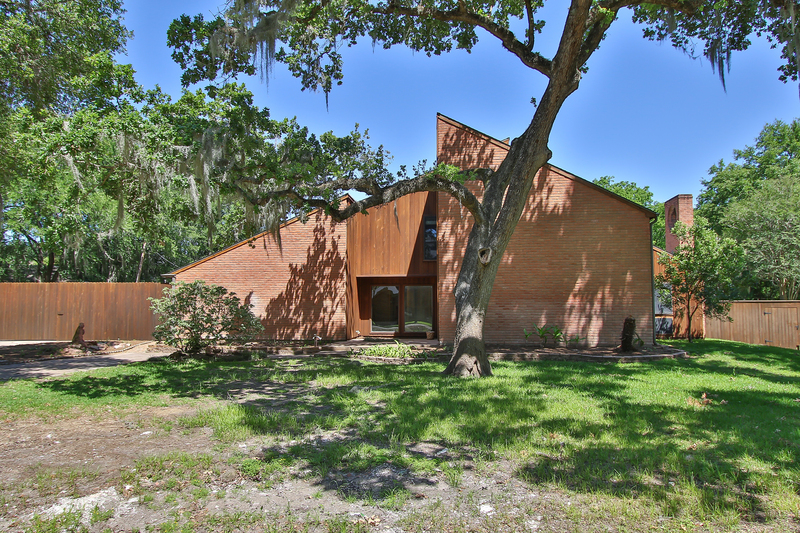 This unique custom built home nestled on a lot a little over .25 acre is on quiet and secluded Briar Bayou Drive. Country estate living in the heart of the energy corridor. This street is a hidden gem. Home is a blank slate waiting for new owner’s personal style and touches. Main house offers master suite down stairs that could be enlarged plus three more generous bedrooms upstairs plus an over sized closet that could convert to work out area or extra storage. 1200 sq. foot building in back yard with its own Air Conditioner, plumbing and three rooms, including a small loft. Structure could be attached to main home as guest quarters. Entire exterior home and fences are cedar and have been resealed after Harvey. Roof is 6 years old. First time flooded. Damaged during Harvey due to dam release has been remediated. All new electrical installed and permitted after flood. Sold “as is”.